Walkmen were all the rage, cell phones were the size of eggplants, and Whitney Houston’s I Wanna Dance With Somebody was the No. 1 hit. The year was 1987, a time when technology was advancing at a tremendous pace. Just imagine, in four more years some Americans would begin communicating via SMS text. Enter 2017. Driverless cars are cruising the streets, and high school students are Skyping with astronauts in space. New technologies are shaping the world around us, and small businesses have a tremendous opportunity to capitalize on these advancements. This is especially true with customer relationship management, an area that businesses were smart to pay attention to 30 years ago and can no longer afford to ignore in today’s competitive environment. As the technological complexity of customer relationships evolve, so must our approaches to them. The area is best tackled through the four Cs of customer information, which are crucial components of any business plan. Currency, correctness, consistency and completeness are – and, arguably, have always been – the most effective path toward forging intimate, long-term relationships with customers. Currency and correctness go together like the PC and mouse. After all, data only has value when it’s up to date and accurate. While the internet makes it easy to link up with others, it’s important to ensure connections are managed properly. Remember, customer information is constantly changing. People move, switch jobs, and update email addresses. Social media accounts might be inaccurate or outdated. This all underscores the importance of maintaining current and correct customer information. If customer information is kept accurately and up to date, it can prove to be invaluable when used with predictive analytics technology. It can help an organization learn a lot about customer trends and who to reach out to for a sale at what time and via which method of contact. That gives the company the best chance for a successful interaction. We’ve come a long way since 1987, when the first version of Microsoft (News - Alert) Excel was released for Windows. Excel was preceded by programs such as Lotus and VisiCalc, which were used to store customer data and other important company information. Before then, punched cards were a popular way to save information. Oh, and don’t forget the infamous rolodex, the original CRM. It’s truly incredible to think of the advances information management has made in such a short time period. Consistency has always been a hallmark of helping businesses grow. 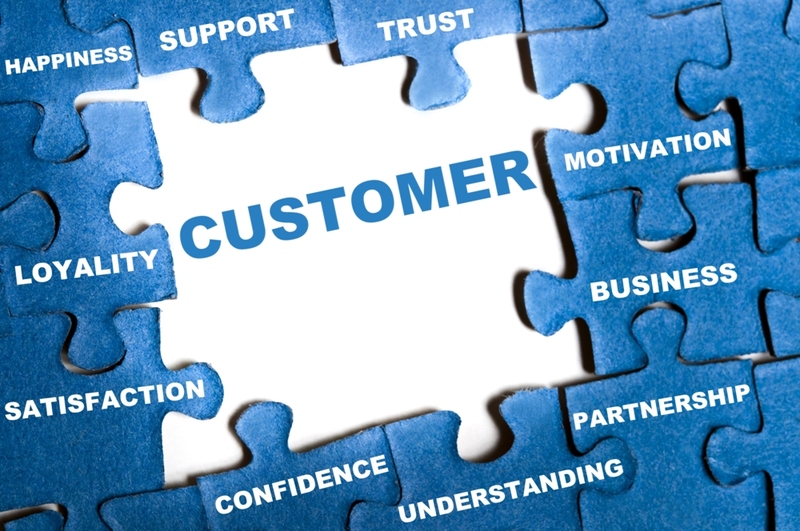 After all, success is impossible if a business can’t maintain positive and long-lasting relationships with its customers. We have infinite options for storing detailed customer information. We use mobile apps, cloud servers, customizable CRM software solutions, email, Google (News - Alert) docs, Excel spreadsheets and even pen and paper when we’re in a pinch. If the customer information is not consistent across all of them, currency and correctness go out the door. It wasn’t always so simple to store all that information on a computer. Apple’s (News - Alert) 1986 enhanced Macintosh computer had limited capacity and could store just 4 MB worth of files. To put that in context, the ’86 Mac had enough space to store about one decent quality mp3 song file today. Completeness is not just about knowing a customer’s address and birthday. It’s an across-the-board collection of customer information aimed at documenting every individual customer interaction. And complete record keeping wasn’t always easy to accomplish through technology. In the late 1980s, computers were only beginning to make their way into mainstream life. By 1989, just 15 percent of U.S. households owned one, and customer records were often kept tucked away in filing cabinets. Today, we’re fortunate to live in an age in which we can keep an effortless record of emails, web analytics, and online sales with the right technology. We can detail each interaction a customer has with any point of contact at the business, and that information can then be stored and shared so everyone has the same, complete information about the customer’s experience. It’s easy to make notes of face-to-face meetings and phone calls, too, with tools that have been developed for just that purpose – including pioneering software solutions like Act! that were laying the foundation for modern CRM technology all the way back in 1987. With such effective and reliable technology available at our disposal in 2017, we are wise to take advantage of it. Bringing the four Cs together gives businesses the ability to mine information, examine trends, and forge lifelong relationships with their customers that enable their businesses to grow and thrive. H. John Oechsle is president and CEO with Swiftpage (www.swiftpageconnect.com).